Join us for the Newcomers holiday party complete with signature holiday cocktails, delicious food, and fun activities. It's a perfect way to catch up with friends, meet some new members, and celebrate the season! It’s the time of year when the best cookies are made. What fun to make extra to share and trade! 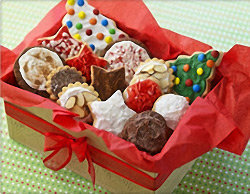 If you choose to participate in the annual cookie exchange (not mandatory! ), there will be prizes for the best tasting and most creative cookie. We will be sending out an email closer to the date with how many cookies you will need to bring. 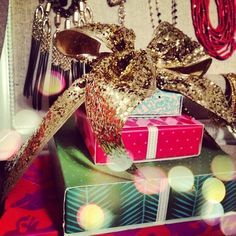 To participate in the white elephant game, bring a wrapped mystery gift - something you have lying around the house - to be exchanged in a madcap session of bargaining, strategy and dumb luck. We will also have a short, "general meeting" so all members can stay up on what the club has planned for the coming year and our very own Shannon Limjuco will have her beautiful Stella and Dot items available so we can get some holiday shopping done while we socialize. Be sure to register by Friday, December 7 for this fun and festive evening!